Everyone wants to live without pain and desires a healthier & fuller lifestyle right? Like any successful plan you must know two things. First, know where you’re at, and second, what you can reasonably achieve. If you have pain or desire to achieve a healthier lifestyle then we encourage you take this complimentary online health assessment brought to you by Chiropractic Associates of Port Colborne. 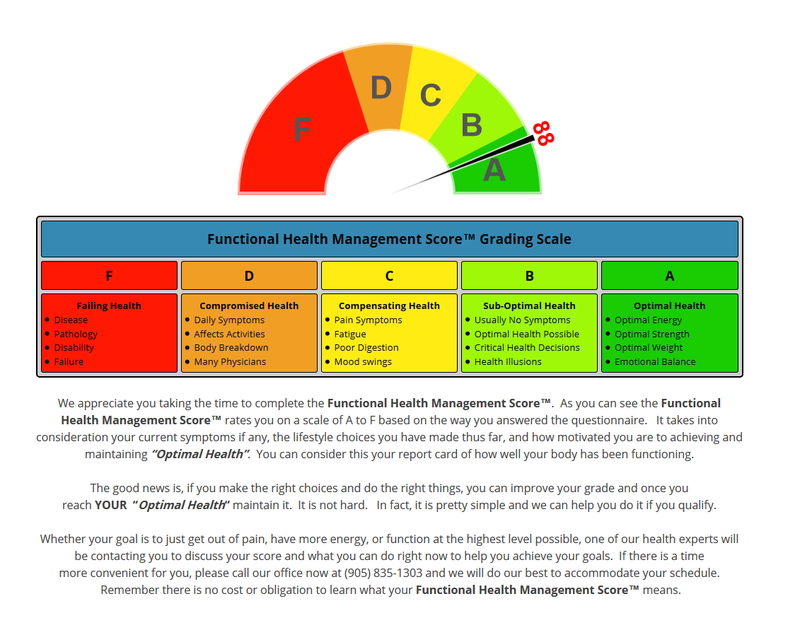 The assessment takes only a couple of minutes and will rate you on a scale of A to F based on the way you answered the questionnaire.The health assessment takes into consideration your current symptoms if any, the lifestyle choices you have made thus far, and how motivated you are to achieving and maintaining “Optimal Health”. You can consider this your report card of how well your body has been functioning. As always, whether your goal is to just get out of pain, have more energy, or function at the highest level possible, Chiropractic Associates is here to help you achieve your goals. We can be reached at (905) 835-1303 and look forward to helping you in anyway we can. So what are you waiting for, take the complimentary online health assessment now, get your score, and let us know how you did. Click Here to take the Complimentary Online Health Assessment Now!